The most appropriate question at the place where we have assembled today would be to consider why prophethood is so essential for humanity and what are the contributions that it has made for the enrichment of human culture and civilization. The talk here should pertain to those God-moved souls who were raised to the exalted position of prophethood, their propinquity to God, tile favors they had bestowed on humanity and the indelible marks they have left on the life and intellectual development of man. 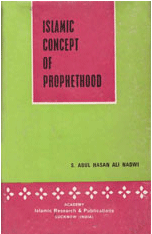 It should also relate to the leader of prophets, the last one, who was favored by God with the eternal and universal mantle of prophethood, was vouchsafed the perennial leadership of mankind and was given an interminable Law and Imperishable Scripture for the guidance of the whole of humanity for all times to come, and an article of faith that was decreed as essential for the salvation of every man, to the end of time, irrespective of his color, race or language.